With over 90 shops The Bay Centre is a “Must Shop” in Downtown Victoria. Stop by Guest Services at The Bay Centre and pick up your “10 Ways to Experience The Bay Centre Like a Local” guide including complimentary experiences from select retailers. While you are visiting, enjoy 10% off Teavana, some restrictions may apply. Jade Victoria carries one of the world's largest selections of beautifully carved Jade from various sources, including three mines that we operate in BC. As the official B.C. provincial gemstone, Jade is the perfect item to bring back to your loved ones. We carry items to fit every budget, including locally carved sculptures that will keep you awe-inspired. Visit the undisputed King of Converse at this unique Victoria store with a 40-year history. This one of a kind store features the largest selection of Converse in the world, along with one of the best selections of Vans shoes found anywhere. A shopping experience not to miss! Lugaro designs and manufactures its jewellery using Canadian diamonds and the Canadian Mint Gold. Bringing Rolex, Ulysse Nardin, Glashütte Original, Chopard, Tudor, Omega, Baume & Mercier, Tudor, Tag Heuer, and Tissot to their 3 retail locations, Lugaro has expanded their position as a luxury jewellery and watch retailer in Canada. Victoria Bead Town Designs offer a vast array of natural stones and crystals in all shapes and sizes including BC Jade. Check out everything from hand carved stone Buddhas and skulls to Dreamcatcher supplies, hemp cord, sequins, bone, wood, natural stones and crystals. Over 500 colours of delica beads and other special size seed beads! Enjoy a boutique shopping experience where we pride ourselves on excellent customer service, product knowledge and shoe fitting. Find unique and comfortable footwear lines including John Fluevog, Chanii.B, Camper, Wolky, Johnston & Murphy, Red Wing Heritage & Glerups Danish wool slippers. See our tremendous collection of selected gifts from across Canada. Quality souvenirs, Canadian clothing for all ages and a wide range of special treasures. A "must see" little shop located under the bright yellow awning on the lower causeway directly across from the Empress Hotel. Treck Wear is an exclusive retailer of Stormtech brand wearables, bags, and other products, we specialize in waterproof/breathable garments. Stormtech outwear is a field tested in a wide variety of climates and weather conditions. All Stormtech products are warrantied against defect, even after extensive use, for three years. If authentic First Nations art and/or crafts are on your Christmas shopping list you may wish to visit locally owned and operated Sasquatch Trading, 1233 Government, or its sister store Cowichan Trading, 1328 Government Street. 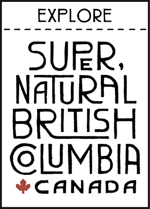 Specializing in locally handmade Cowichan Sweaters, masks, carvings, First Nations’ jewellery, moccasins and commercial giftware.